Chilling Adventures of Sabrina Season 2 Trailer Introduces the Devil Himself | Nerd Much? 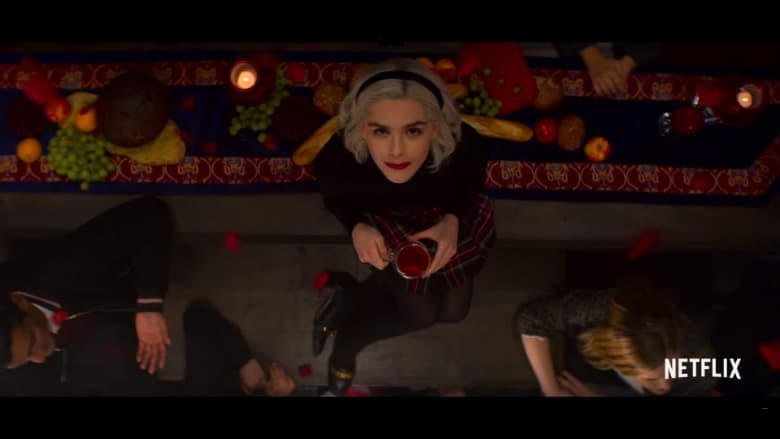 Sabrina’s return to Netflix is right around the corner, and the studio has begun to hype the show’s return with today’s Chilling Adventures of Sabrina Season 2 trailer. And from the looks of it, things are poised to get even darker and more deranged – which is saying a lot. It also appears as though we’re going to get to see Satan himself in the form of a human within the new episodes. Today’s footage closes out with the character’s reveal. “You have loved the power I have given you” he says to Sabrina. She then timidly replies, “What is it you want from me?” I suppose we’ll find the answer to that question next month. We don’t have long to wait to see what adventures Sabrina goes on next. Netflix confirmed within the Chilling Adventures of Sabrina Season 2 trailer that the show returns on April 5th.